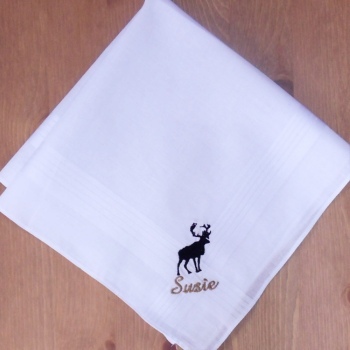 White cotton handkerchief embroidered with an animal silhouette and personalised with a name or initials. 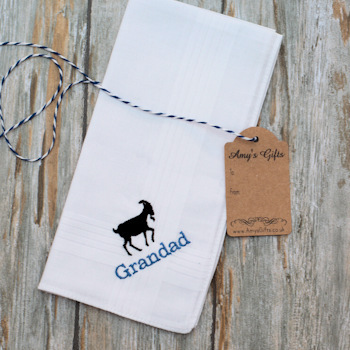 White cotton handkerchief embroidered with an animal silhouette and personalised with a name or initials. Select from one single hanky or a set of 3 handkerchiefs. We have many animal silhouettes available such as dog, cat, horse, bird, bunny, sheep, chicken... our example pictured is a stag, please fill in the animal you would like.